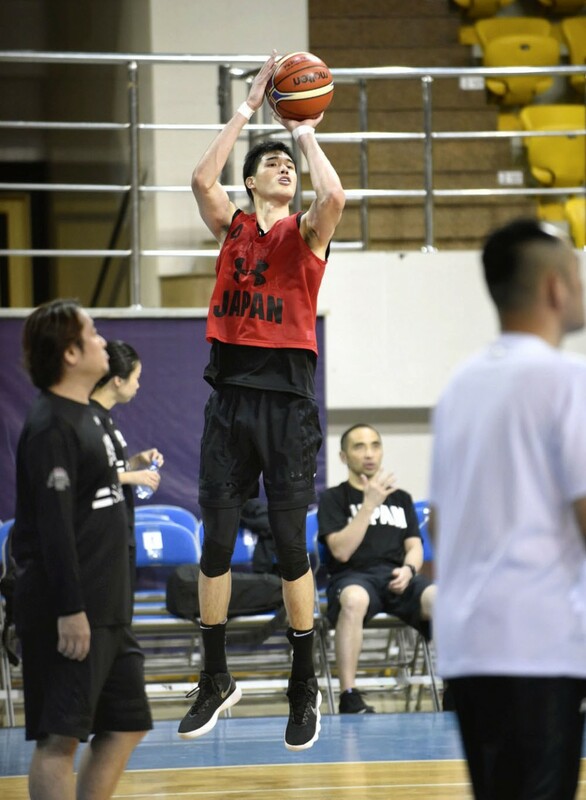 Japanese young guns Rui Hachimura and Yuta Watanabe carried the scoring load in helping Japan to an 85-70 win over Kazakhstan in the teams' first game of the second round of Asian World Cup qualifying on Thursday. Hachimura finished with 24 points on an efficient 8-for-14 from the floor, including 8-for-9 from the free throw line, and added seven rebounds while Watanabe struggled with his shot a little but still tallied 17 points. The hulking 203-centimeter, 102-kilogram Hachimura, who last season in the United States played a much-increased role in his second year at Gonzaga University, said the team's focus on the boards and defensive end proved the difference in what was a must-win game against the central Asians. 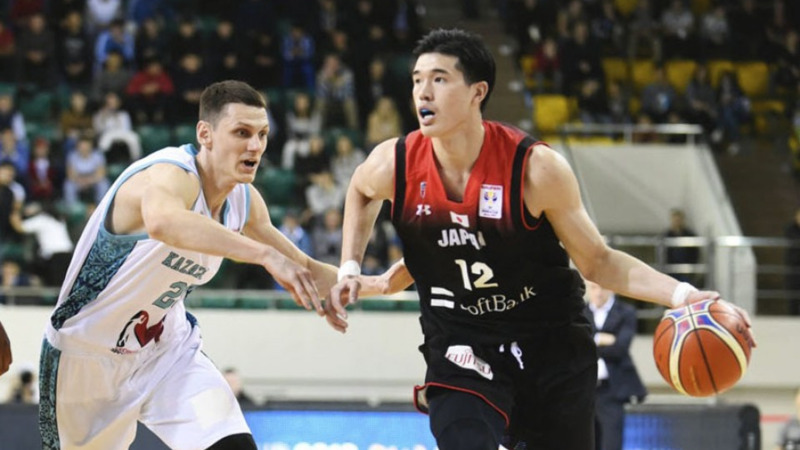 Japan's Argentine coach Julio Lamas echoed his 20-year-old power forward's sentiments. "This is a good victory for our team, an important victory. It is the second away (win) and this is important to building the confidence and personality of the team," Lamas said. After falling behind early, Japan took the lead in the sixth minute of the first quarter and did not look back, extending the gap to 23 points at one stage before a late Kazakhstan rally cut the deficit to 15. "(We) played very good defense for 40 minutes, we competed well in rebounds and we controlled the game after the third quarter," said Lamas. After starting World Cup qualifying without the services of Hachimura and Watanabe, a 23-year-old swingman who recently inked a two-way contract with the Memphis Grizzlies in the National Basketball Association, Lamas was able to add some star power to a squad that has been lacking in scoring punch. Recently, the majority of the national team's scoring load had been carried by Makoto Hiejima, but on Thursday the shooting guard who recently committed to a season in Australia's National Basketball League, played only 14 minutes, scoring three points, but adding three rebounds, three assists and two steals. Next up, Japan faces a much bigger task in group heavyweights Iran. The teams meet at Tokyo's Ota City General Gymnasium on Monday. With the top-three in Japan's group effectively confirmed, one place is up for grabs at the World Cup, which will be held in China in 2019. Japan, which now has 10 points, must finish with more than the fourth-best team on the other side of the draw, which is currently Jordan at 12 points. But with China, South Korea and New Zealand in its group, the Middle Eastern team has a tough road ahead, while Japan, with Iran, Kazakhstan and Qatar, has a chance to scrape through. Lamas, however, is not getting ahead of himself. "We are happy with this victory and we start to think about the next game," he said.